TU Dortmund (TUDO) represented the AutoMat project in an interactive session. 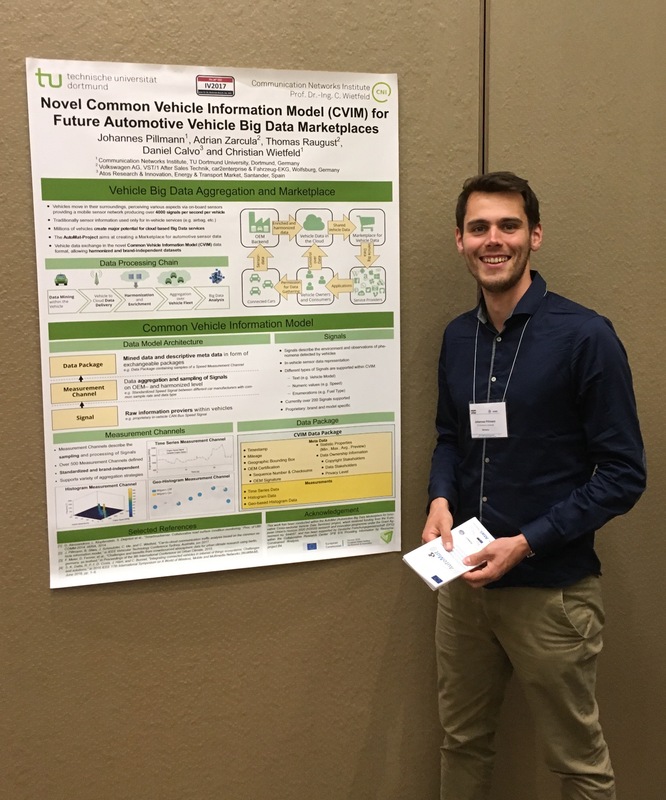 Here, the paper “Novel Common Vehicle Information Model (CVIM) for Future Automotive Vehicle Big Data Marketplaces”, which resulted from a collaboration between TUDO, VW and Atos, was presented in a short demonstration and afterwards discussed in an open discussion with the support of a poster. The feedback was positive and many people were interested in the idea of an open access Vehicle Big Data Marketplace.